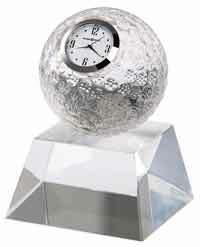 The etched globe of this optical crystal clock sits on a unique, oval-shaped solid black polished glass base. 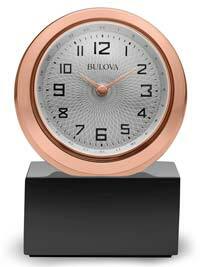 White dial with black numerals and hour markers, surrounded by a polished silver-tone bezel. Comes in an elegant black presentation gift box. 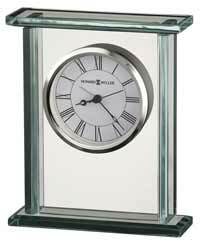 Quartz battery-operated movement includes the SR626SW battery. Size: Height 4-1/2", Width 3-1/2", Depth 3". 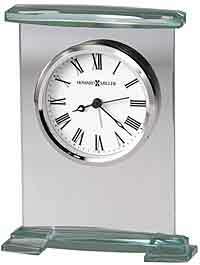 Clocks for sale at The Clock Depot including the 645-719-DS at discount prices.